Our job, and what ProctorU does for us, is to minimize academic fraud and ensure the reputation and integrity of our online programs. Our students work hard and deserve the recognition of a valuable degree. Community colleges have become an increasingly enticing choice for adult learners looking for a flexible and affordable secondary education experience. As more and more students with busy personal lives enroll at community colleges, online programs must find the right partner for their proctoring needs to ensure the reputation of their courses and degrees. Karen Kempter has partnered with ProctorU since 2011 as the testing and tutoring specialist at the Extended Learning Institute at Northern Virginia Community College. Below, she discusses how ProctorU meets her institution’s needs and keeps them ready for what’s next in online education. 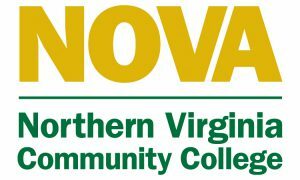 How has ProctorU evolved to help Northern Virginia Community College (NVCC) serve its online student population? We’ve seen ProctorU grow immensely since their inception in 2008, but they remain great partners at an individual level. Despite the large number of their current partner organizations, they provide the service and attention I need to succeed at NVCC. One specific way they have evolved is providing incident reports (helping us monitor potential academic fraud) in real time through the digital Incident Report Center, rather than the old days when I received them upon request as a PDF. We have almost 70% of our courses listed with ProctorU now and we’re very pleased with their products and services. How do you describe ProctorU to industry peers and colleagues? ProctorU is a true partner that enables us to administer assessments for our online student demographic in a reputable remote manner. Everyone I work with at ProctorU is kind, smart and adaptable and their team is always open to suggestions and streamlining the process on my end. They work to find the solution that works for your institution or organization. I also tell colleagues that they’re the only company I know with their proctor team members working in physical centers, monitoring exams in a controlled environment on ProctorU grounds instead of working remotely or from home with a supervisor periodically check in on the workers. How does ProctorU make your job simpler? I act as a liaison between all of our 600 plus faculty and ProctorU, so I’m the one who actually submits all of the proctor information for all of the exams each semester. I receive all the incident reports and then forward them on to the appropriate campus colleagues, and ProctorU’s system is fantastic. For many other companies, it’s not really feasible for them to allow one organization’s point of contact to handle all testing and program oversight because of various systems in place for different courses. With ProctorU, it’s important to them to have a comprehensive picture of everything the test taker is enrolled in, but they don’t require the proctor information for every individual section of a course. They’re very adaptable. If I run into an issue with a certain type of test or a certain way something is handled, ProctorU is very approachable as far as being able to adjust to special needs for my particular institution. I feel it’s more a matter of they adapt to my needs, as opposed to us having to adapt our needs to another company. With our volume, that would be very difficult to do. What is one lesser-known feature you enjoy about having ProctorU as a partner? One of the advantages of ProctorU is that folks can use their own LMS. There’s a number of colleagues in this field who have to enter all of their institution’s exams into a different, less compatible system. It’s so nice to have the option of different ways to administer the actual proctored exams and work within the structure and flow of the solution. What are some common misconceptions people have about online courses and proctored exams? That it’s easier to cheat when you have an online proctor! This is not necessarily true. There are many different ways to cheat and people will inherently attempt to do so no matter how they take a test. Our job, and what ProctorU does for us, is to minimize academic fraud and ensure the reputation and integrity of our online programs. Our students work hard and deserve the recognition of a valuable degree.